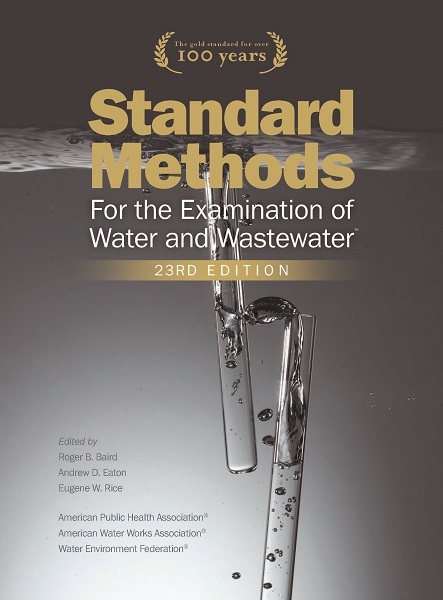 The purchase of Standard Methods for the Examination of Water and Wastewater, 23rd Edition, includes free online access to the resource for a year. The laboratory resource provides the most up-to-date information for measuring the biological, chemical, and physical attributes of water. It offers guidance for choosing among available methods for specific elements and compounds. Analysts, researchers, and regulators have relied on this peer-reviewed publication since 1905. Published by the Water Environment Federation (WEF; Alexandria, Va.), American Public Health Association (Washington, D.C.), and American Water Works Association (Denver), it remains a source of proven methodology for analyzing natural waters, water supplies, and wastewater.